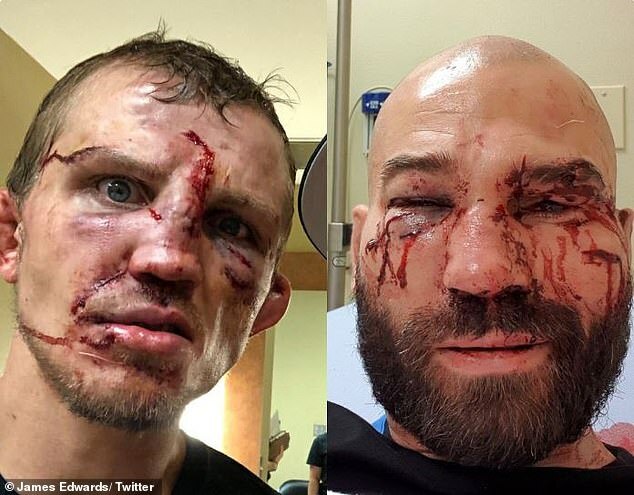 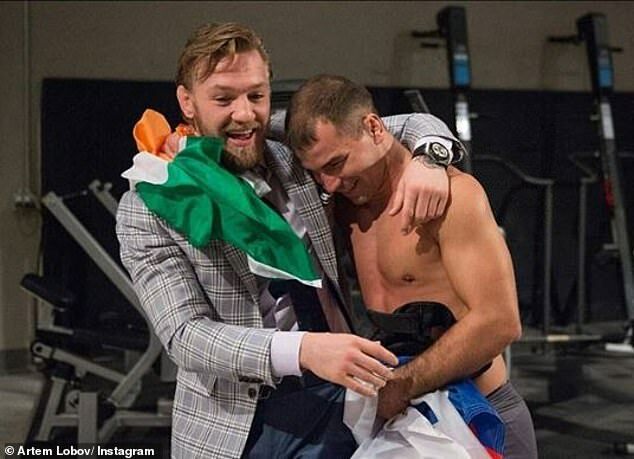 Conor McGregor lauded his team-mate Artem Lobov as an ‘animal’ after the Russian beat Jason Knight in a brutal, bloody bare-knuckle boxing match. 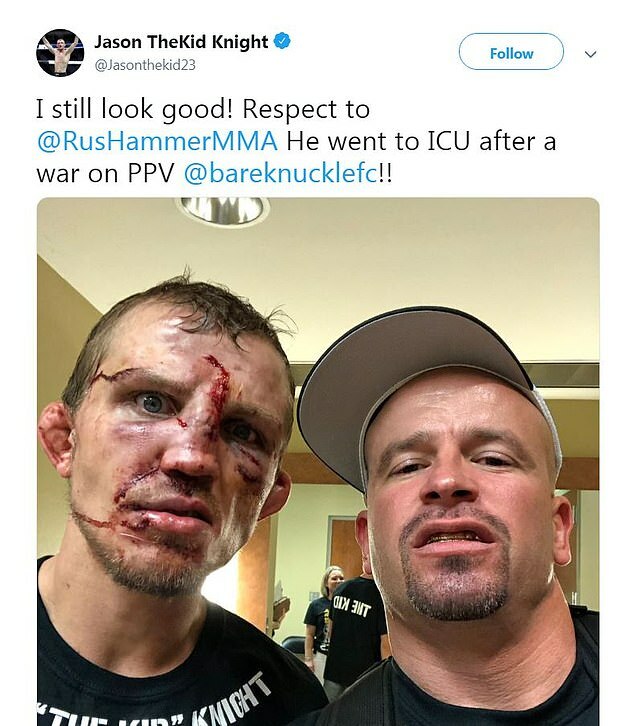 His reference to ‘Paulie’ was referring to Malignaggi, who slapped Lobov during a heated confrontation last week and pledged to knock him unconscious. 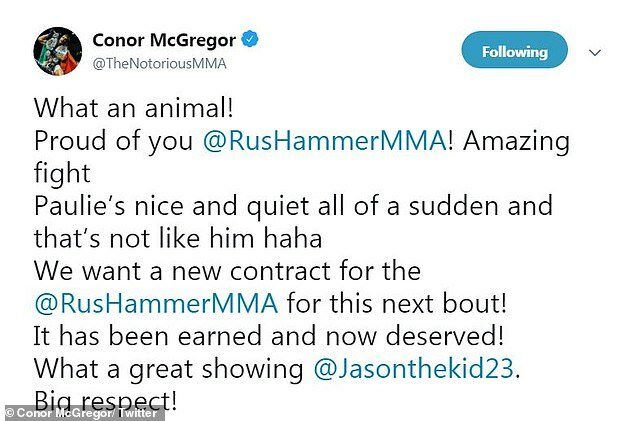 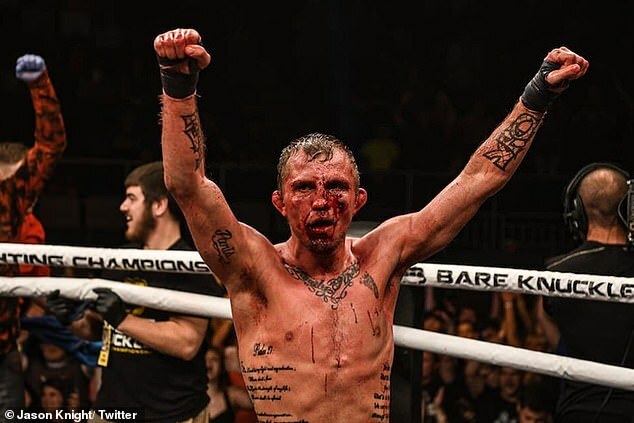 Both he and McGregor train under John Kavanagh at SBG’s Gym in Dublin.